Alzheimer's Disease is a type of dementia which destroys brain cells, causing problems with memory, thinking and behavior severe enough to affect work, lifelong hobbies or social life. Alzheimer's gets worse over time, and it is fatal. According to the "2009 Alzheimer's Disease Facts and Figures." Women are affected at twice the rate of men. As many as 5.2 million people are living with Alzheimer's Disease in the United States, including up to 250,000 under the age of 65. The Alzheimer's Association estimates every 70 seconds someone in America develops Alzheimer's and by 2050 they estimate that the number will more than double to every 33 seconds. In 1986 Dr. David Snowden, (Snowden 2002) an epidemiologist and professor in Neurology at the University of Minnesota, embarked on an ongoing scientific study involving 678 Catholic nuns from the School Sisters of Notre Dame. The ongoing "Nun Study" has come to represent some of the world's most significant research on aging and Alzheimer's disease. One of the primary questions the Nun Study attempted to answer was how pathology in the human brain related to Alzheimer's disease symptoms. Today, it is known that plaques and tangles are the two most important pathological features of Alzheimer's disease. However, results from the Nun Study show that approximately one third of the sisters whose brains were found to be inundated with Alzheimer's disease associated plagues and tangles at autopsy had shown no symptoms of dementia and scored normal results in all mental physical tests while alive! The difference it seems, is "Cognitive Reserve." 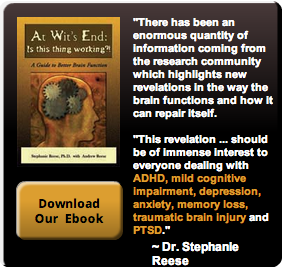 Read more of Dr. Stephanie Reese's page on how to save yourself from Alzheimer's disease. Learn how training your brain and body can slow cognitive decline as you age. As we all know, Alzheimer's Disease can happen to anybody which especially occur at late age. There are however Lifesaving Strategies that could help us prevent the further damage of this condition.